A wonderful new store has opened in Castle Rock, Maine. It's a place where you can get anything your heart desires - pleasure, wealth, power . . . but for a nerve-shattering price. 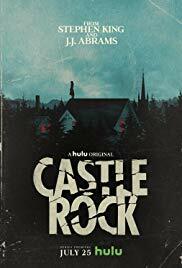 Castle Rock is a fictional town in Maine that has served as a nexus for paranormal, supernatural, and metaphysical events through Stephen King's writing. Multiple works by King have been set in Castle Rock, including Needful Things, Bag of Bones, Cujo, The Dead Zone, and more. Multiple novellas, such as The Body and Gwendy's Button Box have also taken place in Castle Rock. The Shawshank Prison (from The Shawshank Redemption) is also located right outside of the town. Not too far from Castle Rock, is the infamous town of Derry - the fictional location for King's horrifying novel, It. Castle Rock is an upcoming American psychological horror web television series based on the stories of Stephen King, intertwining characters and themes from the fictional town of Castle Rock. It is produced by J.J. Abrams. It is set to premiere on July 25, 2018, on Hulu. It stars André Holland, Bill Skarsgård, Melanie Lynskey, and Sissy Spacek. Some of the fiction titles below revolve around small towns, like Castle Rock, who encounter some very strange, and very horrifying, waking nightmares. This tale of a young married couple who harbors a dark secret is packed with dread and terror, as they and their daughter move into a brand new apartment building built next to a graveyard. As strange and terrifying occurrences begin to pile up, people in the building start to move out one by one, until the young family is left alone with someone - or something - lurking in the basement. Julie and James settle into a house in a small town outside the city where they met. The move is quick and seamless; both Julie and James are happy to leave behind their usual haunts and start afresh. But, as Julie and James try to settle into their home and their relationship, the house and its surrounding terrain become the locus of increasingly strange happenings. The architecture becomes unrecognizable, decaying before their eyes. Stains are animated on the wall and map themselves onto Julie's body in the form of bruises; mold spores taint the water that James pours from the sink. Together the couple embarks on a panicked search for the source of their mutual torment, a journey that mires them in the history of their peculiar neighbors and the mysterious residents who lived in the house before Julie and James. For years, a lighthouse at the top of a hill called Blade Ridge has lit up the surrounding woods. But when the lighthouse keeper is found dead, strange things begin happening to the people and animals in the area. The small New England town of Coventry is haunted by its memories of a deadly winter, in which loved ones were lost, families torn apart, and a town buried in a terrible blizzard. Now, twelve years later, the people plagued by their memories of that storm are haunted once again as a new storm approaches, promising to wreak new havoc. Old ghosts trickle back, and this storm will prove even more terrifying and deadly than the last. When the carnival comes to town, two boys unearth the terrifying and horrible secrets that lurk within Cooger & Dark's Pandemonium Shadow Show and learn the consequences of wishes, as a sinister and evil force is at work in Green Town, Illinois. Jeremy works at the Video Hut in Nevada, Iowa in the late 1990s, and he has a problem - someone is altering the videotapes, inserting poorly lit home video scenes which are odd, sometimes violent, and deeply disquieting. There are recognizable landmarks from just outside of town. As Jeremy investigates, he becomes part of an impossible search for something someone once lost - and would do anything to regain. View more suggestions for Hulu's Castle Rock.